Natural rearing homeopathic kit for animals contains twenty three remedies described in the chapter Remedy Selection in the book Homeopathy for Dog Breeders . 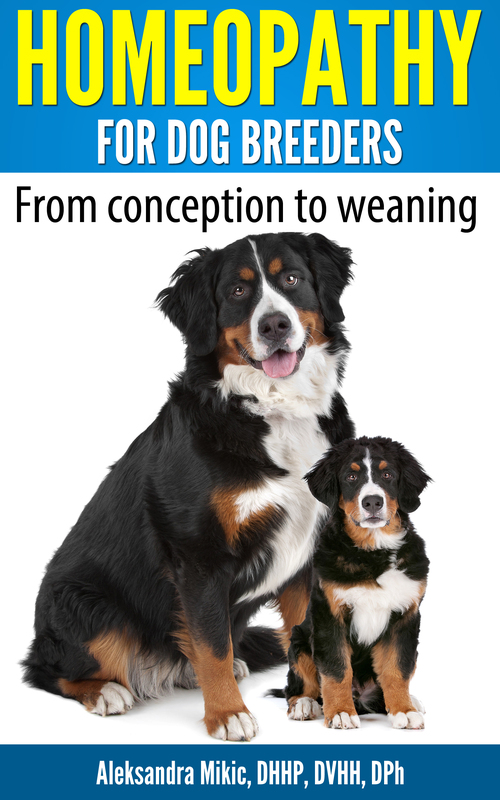 Even though the book was written for dog breeders, it is applicable for any species. In order to know how to use the remedies, the book is a must read. What else is included? Each kit comes with a 30 minute consultation (a $100 value). The remedies are delivered as pellets in vials that can last a lifetime. You can choose between a 30C and 200C potency, if you do not specify, 200C will be provided. Total cost is $310.00 (consultation, kit, shipping and handling). Replacement/additional vials are $15.00 each. Make sure to include the address where you want the kit shipped to. Consultation is conducted over the phone, therefore geographical distance is irrelevant. Additional consultations may be set up later on if you feel that you need them, at the normal rate as posted in Consultation Fees.